Former Navy SEAL Nick Foley reluctantly agrees to help investigate when American CIA operative Peter Yu goes missing in China. But when Yu's mutilated body washes up on a beach near Hong Kong, along with dozens of other victims, the case takes a macabre turn. 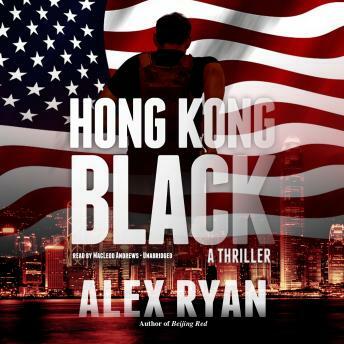 Suddenly Nick finds himself embroiled in another bioterrorism investigation being conducted by China's elite Snow Leopard counter-terrorism unit and the Chinese CDC, this time involving illegally harvested organs for an unknown and nefarious end. But Nick's investigation does not go unnoticed, and soon he finds a target on his back. After thwarting an attempt on his life, he is forced to go off the grid and enlist the help of beautiful CDC microbiologist Dr. Dazhong "Dash" Chen to help unmask his would-be killer. On the run and looking for answers, their budding romance is tested at every turn.